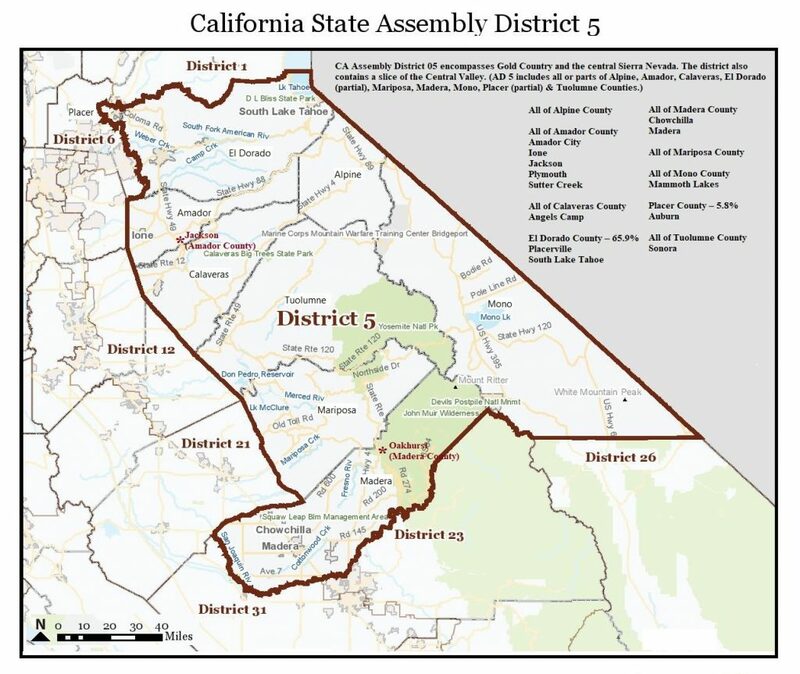 CDP Assembly District Delegate Election for AD 5 is Sunday, January 27th! 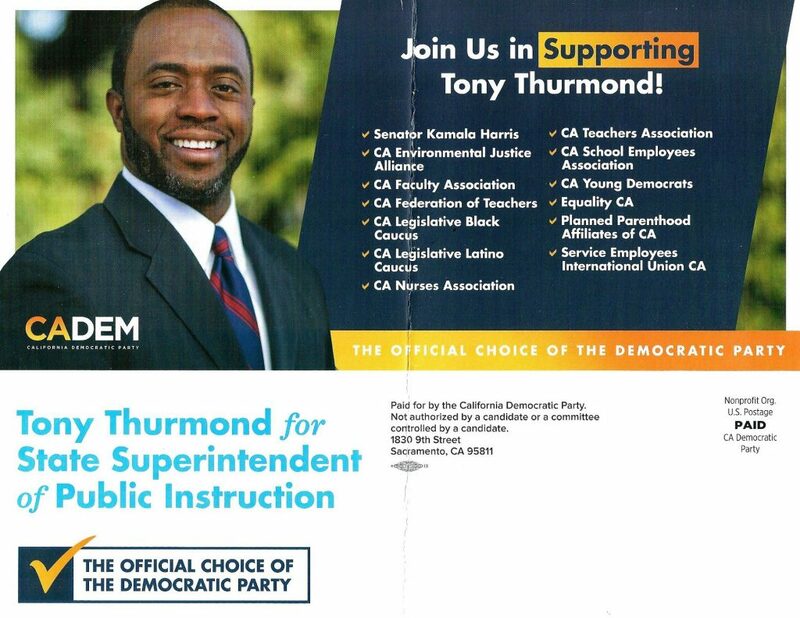 California Democratic Party Assembly District Delegate Election Meeting(s) for Assembly District 05 are on Sunday, January 27, 2019. Doors Open at 10:45 AM, Candidate Speeches Begin at 11:00 PM, Registration/Voting is from 11:30 AM – 1:30 PM (2 Hrs), Meeting/Vote Tallying is from 1:30 PM – 3:00 PM. Cross streets: HWY 41 & Civic Circle. Note: Civic Circle is the first street north of the junction for HWY 41 & HWY 49. 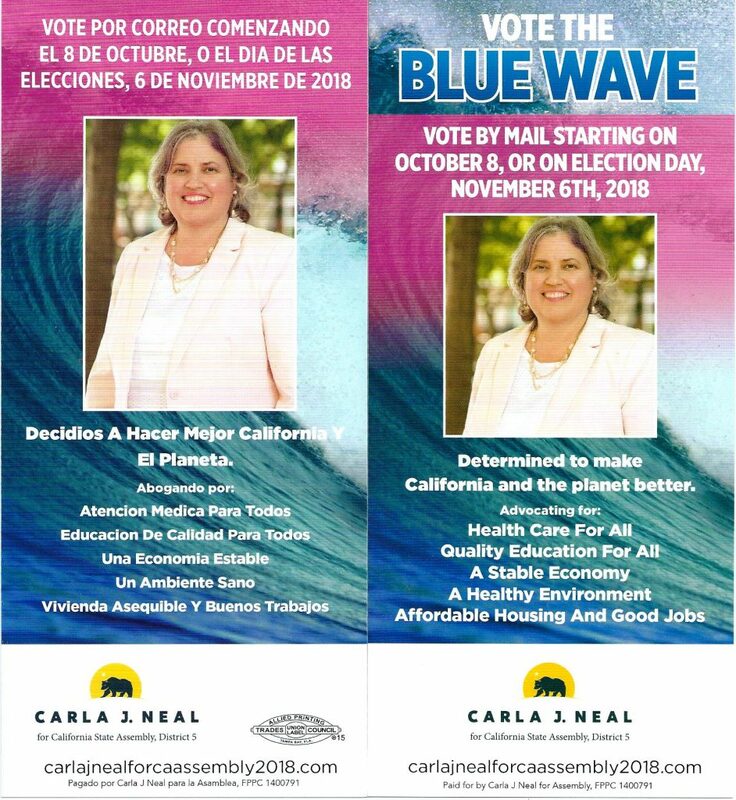 The Assembly District Election Meetings (ADEMs) are held every two years, with this year’s election for AD 5 being held on Sunday, January 27th to elect 7 women and 7 men to be Assembly District Delegates (ADDs) and elect a (one) Executive Board Representative for their AD. 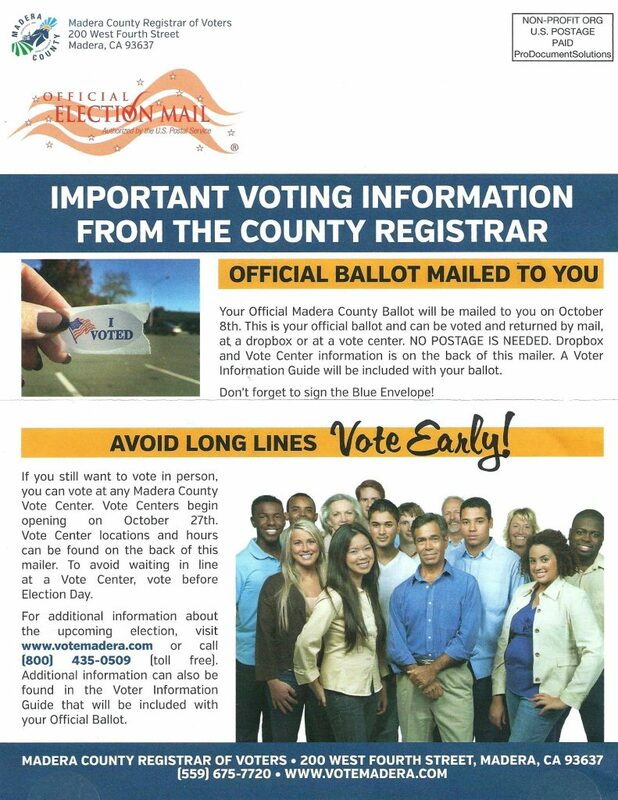 ADEM Voter Eligibility: All Democrats residing in and registered to vote in the Assembly District as of the date of the ADEM are eligible to vote. Same day registration is allowed of otherwise qualified citizens. RSVP at our Facebook Event here. 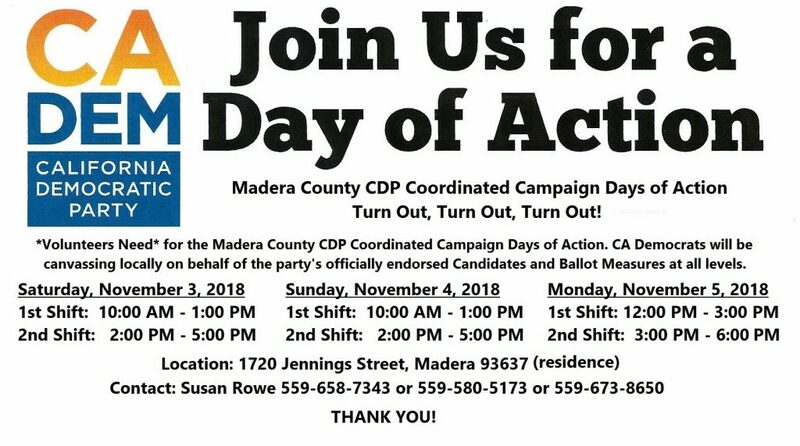 Map CA AD 5 ADEM Locations North Jackson (Amador County) and South Oakhurst (Madera County) more about AD 5. 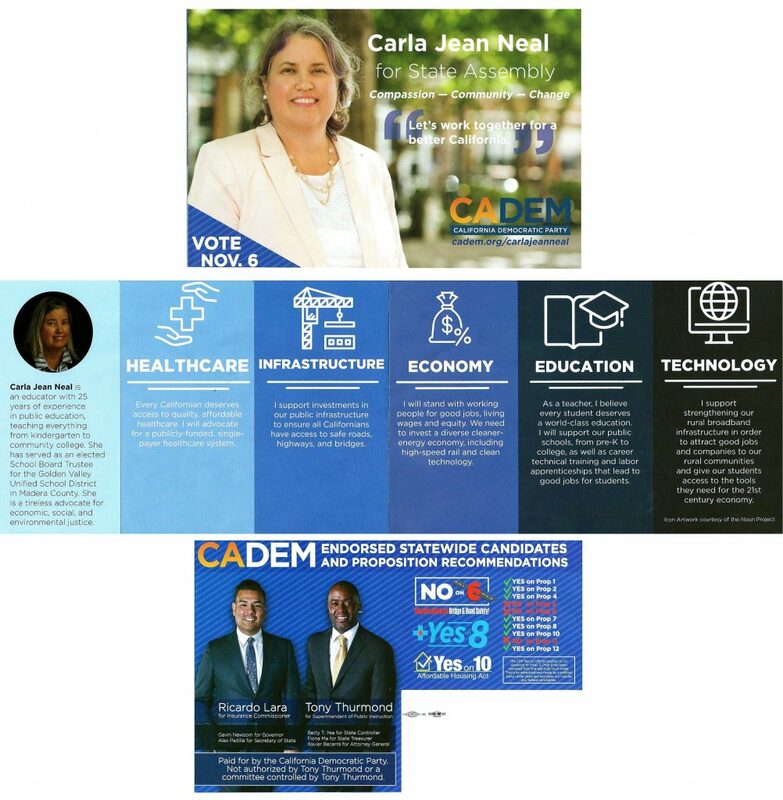 Carla Jean Neal for State Assembly: Dear Voters Thank you for your Support! 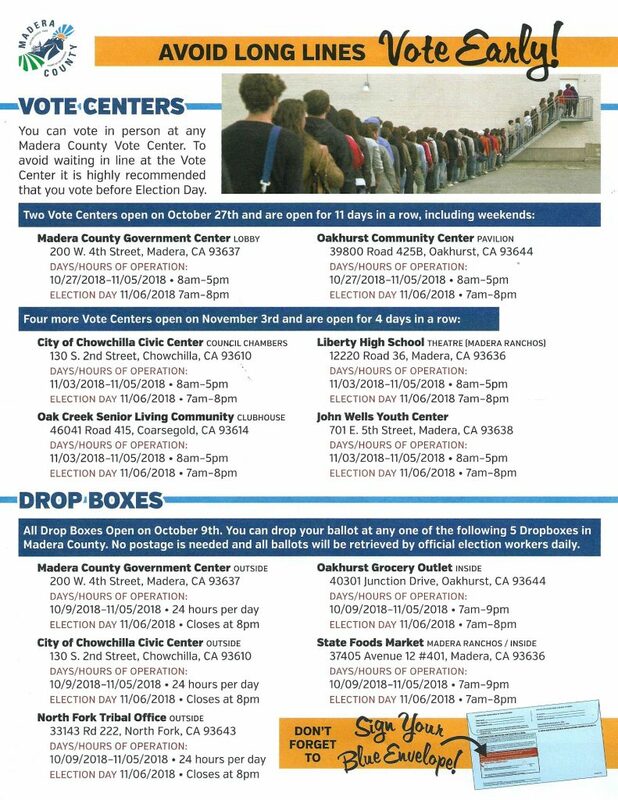 Thank you for the most important act you can give to our democracy at this time…your Vote! 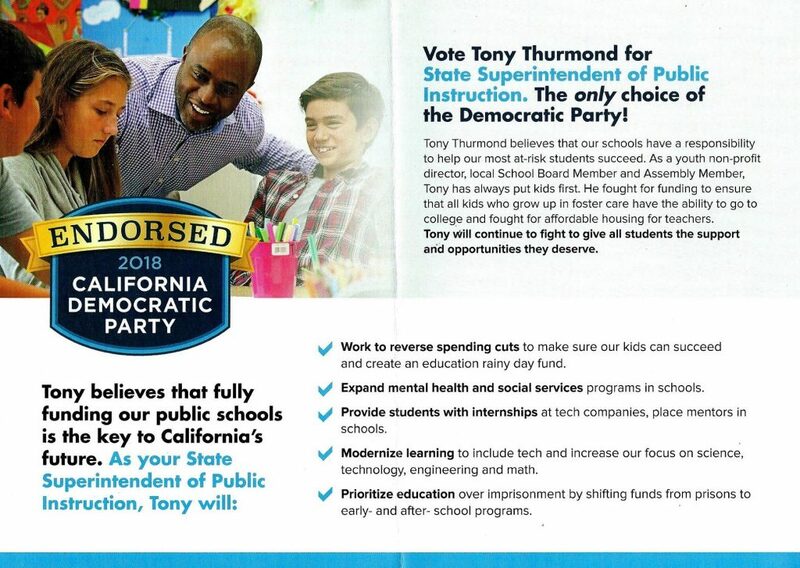 I hope that you cast your votes up and down the ballot for the most progressive democrats and may the best win! 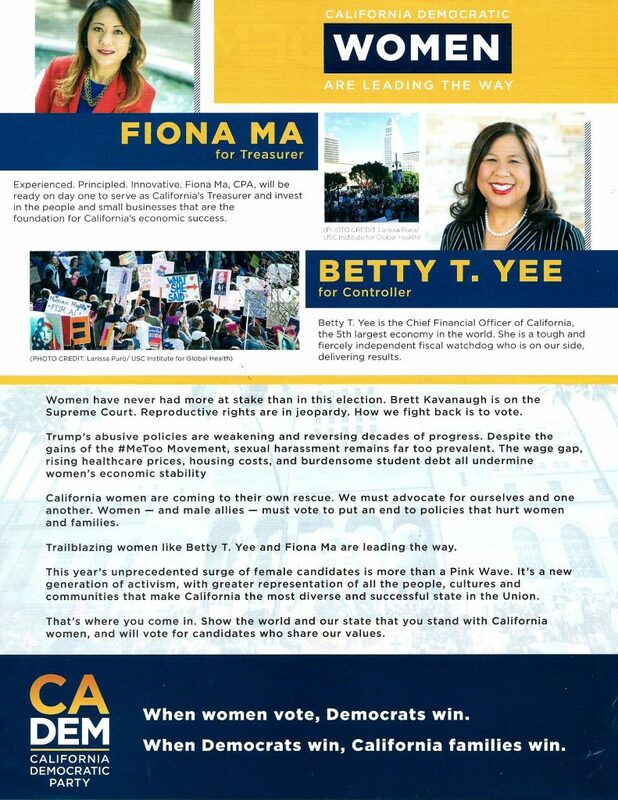 Together we are the blue wave! Orange, pink, black, green, brown, red, purple or blue -A ROY G BIV Wave is coming and we the people decide our future. 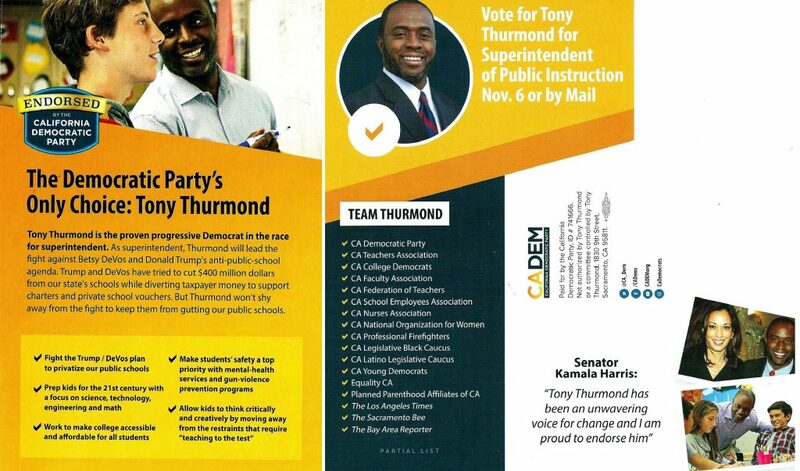 For more information and to sign-up online to volunteer, please go HERE. 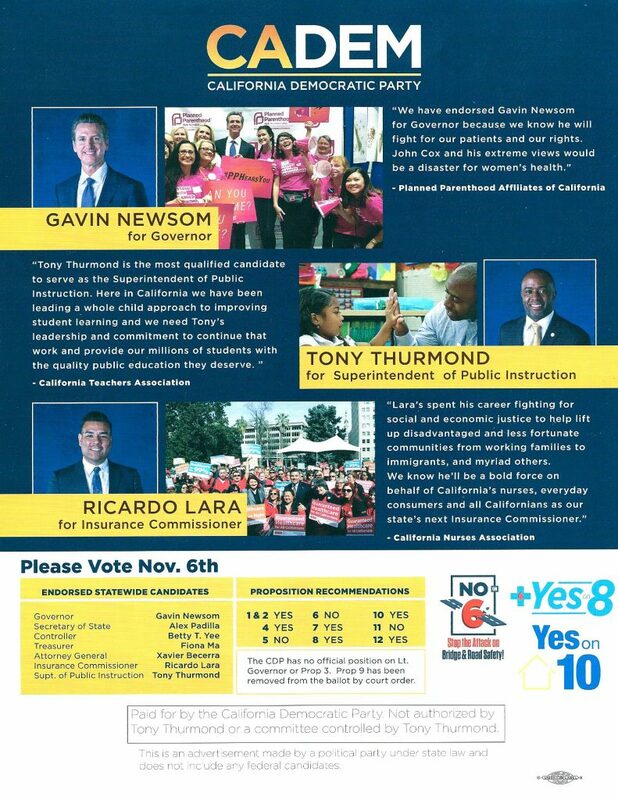 Please join Dolores Huerta, Senator Ricardo Lara and CDP Chairman Eric Bauman today at 4pm!